Four people were sent to the hospital after being involved in two crashes in Miami Beach. 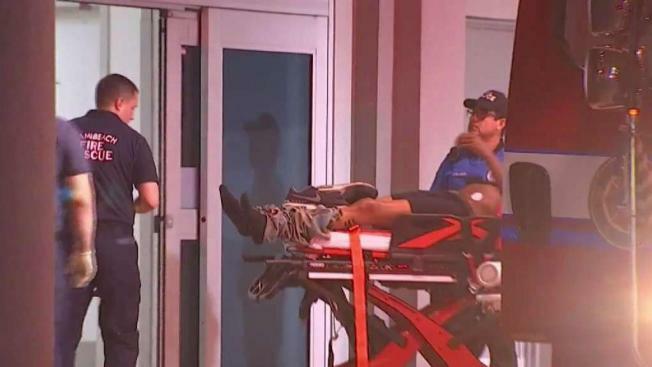 Miami Beach police say they have a person in custody who they believe is responsible for a hit-and-run crash that sent four people to the hospital. According to police, the incident happened at around 8 p.m. Sunday. The first incident was a hit-and-run on Lincoln Road and Collins Ave.
Police said the suspect fled the scene on Collins Ave. Shortly after, the suspect was involved in a second crash involving two vehicles on 15th Street and Collins Ave.
Officers say 28-year-old Ceairia Deveaux faces multiple charges, including DUI causing serious injury, reckless driving and leaving the scene of an accident among others. Several injuries were reported, but their conditions weren’t made immediately available.